The following text is a brief summary of the legal framework for dealing with marihuana within the territory of the Czech Republic or outside the Czech territory by Czech citizens. It is a description of legal regulation of the use of marihuana—both permitted and prohibited. We will explain the mechanism of prohibition of using marihuana and its limits. 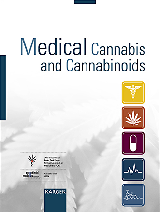 The main part of the text consists in the area of the permitted using of marihuana with the emphasis on medical use. We will explain the principles on which the grounds of the rules regulating this area are built. You will not find any deep philosophical contemplations or exact influence of using marihuana on living organisms in this text. One of the fundamental rights granted to each and every person under the jurisdiction of the Czech Republic is free ownership. Any person may acquire things and dispose of them as he or she pleases. The state reserved to limit this right of ownership only in some specific stipulated cases. One of the limitations is that the exercise of the right of free ownership shall not endanger general interests protected by law. The state can restrictively reserve ownership of a defined set of things to a defined group of persons—this is very important for a deeper understanding of laws governing permitted use of marihuana. The state may do so because of public interest. These two rules enable the state to interfere in ownership of persons and are also the grounds of legal regulation. It depends on political skirmishes, level of scientific knowledge and the general state of society, whether a thing is, or is not marked as dangerous for general interest protected by law. This general interest may mean public health, public order, general well being etc. Marihuana is a movable pursuant to the legal order of the Czech Republic. The legal order of the Czech Republic knows marihuana under the botanic name: cannabis. The Czech Republic categorizes marihuana among addictive and narcotic substances. It does so not only because of its own interests, but also of duties arising from international treaties. The Czech Republic is bound by international treaties to combat production, distributing and trading of things that are listed on the list of addictive and narcotic substances. The Czech law regulates the regulation of cannabis ownership. The basis is the list of addictive and narcotic substances. The list was originally a schedule to the act on addictive substances. Now, it is an independent regulation in the form of government resolution. It enables the government to work with the list irrespective of Parliament. The government puts on the list such substances that advisory committees deem addictive or narcotic. Ministries (departments), specialized bodies of the government, Police of the Czech Republic, or NGOs focusing on combating addictive substances can be named as examples of advisory committees. Any substance that induces a need to use the substance again, while this may or may not have bad effects on user’s health, can be deemed addictive. Therefore substances that may not induce addiction—but are dangerous because of their strong psychotropic effect that may cause irreversible changes in health—have also been put on the list. Substances mentioned in this government resolution are exempted from the regime of general ownership, and special regimes apply to them. The core principle of such a special regime is that the ownership of such substances is possible only on grounds of a license granted by the state. The basic process of grating such license is described in the act on addictive substances. Special procedures stated in norms of chemical, pharmaceutical and health law are applied to each group of substances. Marihuana is mentioned on the list of prohibited substances as cannabis, cannabis tincture, cannabis resin, cannabis for medical purposes and its psychoactive substance THC. The system of such listing enables to regulate ownership of any plant categorized under the name cannabis and also any products that include the plant or some parts of it. In view of the fact that marihuana—cannabis—is on the list of prohibited addictive substances, its possession, using or disposition of it without a state license is prohibited. This ban is valid in the whole territory of the Czech Republic and for all citizens of the Czech Republic outside the territory of the Czech Republic. Any breach of the ban is punishable with regard to gravity of the act breaking the ban. The legal order of the Czech Republic uses two sanction mechanisms for punishing people breaking the law. The law can be broken with an act of various levels of possible harm. The acts causing less harm are called misdemeanors, and bodies of local governments punish them. Acts causing more harm are called crimes, and only independent courts deal these with them. The Penal Code precisely defines the elements of prohibited behavior. If these elements are not completely fulfilled the act is called a misdemeanor. The legal order adopted the theory of dividing addictive substances into light and hard drugs (according to the potential to induce an addiction and according to the possible level of health harm). According to scientific knowledge, cannabis is listed among the light drugs. The Penal Code is not referring directly to the list of prohibited substances, but it defines the addictive substance as alcohol, narcotic substance, psychotropic substance or other substances capable of unfavorably impacting human psyche or human controlling or cognitive faculties or social behavior. It is a wider group of substances than only the substances mentioned in the government resolution. (1) Any person who produces, imports, exports, transports, offers, provides, sells or otherwise procures for another person, or possesses narcotic or psychotropic substances, products containing narcotic and psychotropic substances, precursors or poisons without authorization, shall be punished by a prison sentence of one to five years or a monetary penalty. d) to a greater extent against a child, or in a quantity larger than small against a child younger than fifteen years. d) they committed such an act against a child younger than fifteen years to a large extent. c) they committed such an act in connection with an organized group operating in several States. 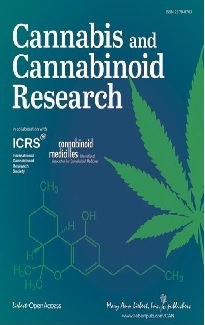 (1) Whoever for their own use, possesses the narcotic substance of cannabis, cannabis resin, or any psychotropic substance containing tetrahydrocannabinol, isomer, or its stereochemical variant (THC) in quantities larger than small without authorization, shall be punished by a prison sentence up to one year, punishment by disqualification, or forfeiture of items or other assets. (3) An offender shall be punished by a prison sentence of six months to five years or a monetary penalty if they committed an act referred to in Subsection 1 or 2 to a large extent. (4) An offender shall be punished by a prison sentence of two to eight years if they committed an act referred to in Subsection 1 or 2 to a large extent. (1) Whoever, for their own use, cultivates cannabis in quantities larger than small without authorization shall be punished by a prison sentence up to six months, a monetary penalty, or forfeiture of items or other assets. (2) Whoever, for their own use, cultivates a mushroom or another plant other than the ones referred to in Subsection 1 containing narcotic or psychotropic substances in quantities larger than small without authorization shall be punished by a prison sentence up to one year, a monetary penalty, or forfeiture of items or other assets. (3) An offender shall be punished by a prison sentence up to three years or a monetary penalty if they committed an act referred to in Subsection 1 or 2 to a greater extent. (1) Whoever entices another person to the abuse of addictive substances other than alcohol or supports them in it, or whoever otherwise encourages the abuse of such substances or distributes them, shall be punished by a prison sentence up to three years or punishment by disqualification. c) by the press, film, radio, television, publicly accessible computer networks, or other similarly effective means. (3) An offender shall be punished by a prison sentence of two to eight years if they committed an act referred to in Subsection 1 against a child younger than fifteen years of age. From the above-mentioned overview of the bodies of crimes and their specifications it is obvious that the law leaves only a minimal space for practices connected with cannabis that are not deemed crimes. There are, maybe, only acts that do not reach, according to the Penal Code, such a high level of harm for society and therefore these acts are listed as misdemeanors. The first possibility is receiving cannabis or products made of it in a quantity smaller than small. The second practice is cultivating plants of cannabis for the person’s own needs, also in a quantity smaller than small. The basic concept is the words: a quantitylarger than small. The Penal Code does not define the exact quantityand it is referring to the government resolution that does include the exact quantity. According to the ruling of the Supreme Court, the quantity is larger than small if it is 10 grams of dried flowers and more. If a person cultivates not more than 5 growing plants of cannabis or possesses not more than 10 grams of dried cannabis, all for the person’s own needs, the person is than penalized according to the S. 30, letter g and h,the Misdemeanor Act. The person can be imposed a fine amounting to CZK 25, 000—50, 000. Also a ban on residence or forfeiture of a thing can be imposed together with the fine. It is strange that the lawmaker, or government, chose the same criterion dividing two different acts for stating whether the act shall be deemed a crime or only a misdemeanor. It is the quantity larger than small both in case of possessing for my own needs and also for cultivation for my own needs. If I choose to cultivate and will cultivate five plants, then I will dry them and get about 250 grams. If I get cannabis from other resources I have several grams in my pocket. It is not known yet how the Police proceed if a user cultivates for his need and has the whole harvest dried and stored. Another group of crimes and misdemeanors is the acts completely allowed, but they become a crime or misdemeanor only because the blood of the acting person contains the active substance – THC. We are talking about situations when everyone who is in the situation is demanded stronger concentration or caution. If the person has THC over the limit in his blood, it is a prohibited conduct. (1) A person who performs employment or another activity which could endanger human life or health, or cause substantial damage to property in an incapacitated state that they inflicted by the influence of addictive substances, shall be punished by a prison sentence up to one year, a monetary penalty, or punishment by disqualification. c) they were convicted for such an act over the last two years or released from serving a prison sentence imposed for such an act. This body of the crime does not require an offender to hold or dispose of the addictive or narcotic psychotropic substance (cannabis in our case). The important element of the body of the crime is the presence of the substance in the offender’s blood in the time of the conduct. The Penal Code does not regulate the process assuring getting valid and usable information. (2) If the policeman finds out that the person who is about to be put in a prison cell is wounded or the person points out some kind of serious illness or there is a reasonable suspicion that the person suffers from this kind of illness, the policeman shall secure a medical examination and asks the doctor for the medical opinion. (2) Policeman is also authorized to execute an inspection of the place of misdemeanor, inspecting an item connected to the committed misdemeanor and attach clues. (3) A person is bound to submit to the acts referred to in Subsection 1 item b) or c) if it is not dangerous for a person`s health. (4) Blood test shall be executed whenever a person suspected of a misdemeanor asks for it. In practice, the Police invite, on grounds of an authorization for a control, the controlled person to submit to a test revealing any content of addictive substances in body. The police usually use a test revealing presence of substances in saliva, urine or sweat. It is easier for them. The problem is, however, that these tests do not prove the presence of the controlled substance in the body of the controlled person. These tests determine only the presence of substances that come into existence as metabolites of the effective substance. These metabolites can survive several months in a human body. They do not influence psychological and physiological activity of a human whatsoever. That is why there should be a blood test carried out in a medical center that precisely determines the content of effective substances in blood and can tell, based on the test, whether a driver is incapacitated and also determine his level of culpability. If a controlled person refuses the blood test it is a misdemeanor, and the person is fined by the monetary penalty amounting to CZK 50, 000. In this case, the same as with alcohol, there is a certain amount in per mille that determines whether the act is misdemeanor or crime. As it was already mentioned in the part devoted to the list of prohibited substances and the Act on addictive substances, it is possible to obtain the needed permission – the license authorizing holding, disposing of substances and turning them into other products. This permission may be obtained in administrative proceedings conducted by relevant public authorities. These authorities are mostly the authorities that have the authority to control the licensed subjects. The subject must, in the first place, prove a reason for disposing of such a substance. They must have employees and proper qualification. Further a business plan is needed and this plan may not be in contradiction with good morals and the law. The process of obtaining concessions, licenses or other exceptions authorizing a subject to disposing with substances in the special regime is a subject to controls of specialized authorities pursuant to the law. Use of cannabis in textile and building business has created some pressure on its production. Because the main goal is not to gain the psychotropic substances it is possible to cultivate the so called “industrial cannabis” that has less ten 0.3 % of THC out of the total weight of the plant. This is so low concentration that people who use cannabis because of its psychotropic substance would not use it. Any person who decides to produce industrial cannabis shall announce this fact to the relevant authority and the crop is then subject to a control. Female blossoms shall not exceed the aforementioned limit of THC. Bases on examples from other countries and also on scientific knowledge, there we have a legislation in the Czech Republic that makes it possible that psychotropic substances containing cannabis may be used for medical purposes. Cannabis is then becoming a medicine that is equal with other pharmaceutical products. It is, therefore, necessary to establish right cultivation practices and correct manufacturing practices. International authorities provide, by giving us examples of right cultivation practices, information about the most suitable and needed proceedings and conditions for cultivation of specific plants. In case of cannabis for medical purposes, we are talking about not only the protection of plants, but also about specific requirements for hygiene, making sure the quality is standardized and the content of effective substances is well defined. Productions of medicines must be governed by requirements of the Act on manufacturing medicines and the resolution on production and distribution of medicines that specifies the requirements for manufacturing premises, quality controls, personal policy etc. The permission for disposing with the substance mentioned on the list of prohibited substances is, in this case, granted by SAKL—Státní agentura pro konopí pro léčebné použití (State Agency for Medical Cannabis; http://www.sakl.cz/en/index/introduction) pursuant to the Act on addictive substances. A licensed subject authorized for cultivation of cannabis for medical purposes may cultivate only these varieties of cannabis with the precisely defined mix of effective substances that are stipulated in the Appendix 1 of the resolution No. 221/2013 Sb.This resolution also sets criteria of the content ofmolds, microbes or other addictive substances in the final product. The author of the resolution is Státní úřad pro kontrolu léčiv (State Institute for Drug Control) and it is therefore responsible for approving individual kinds of cannabis as a medicament. Act No. 378/2007 Sb., on medicaments, sets parameters for cultivation premises, drying premises and other objects dealing with manufacturing cannabis. It also stipulates the qualification of personnel who are in some contact with cannabis. The aforementioned resolution is devoted to a precise composition of effective substances in each and every type of prescribed cannabis. This composition is controlled in the final product and must correspond to the resolution very precisely. The resolution also stipulates diagnoses for which it is possible to prescribe medical cannabis. Only an expert doctor with the relevant attestation is allowed to prescribe it. The maximum quantity of the medical dose is at the moment 30 grams a month. As far as recipes are concerned, these are governed by the resolution No. 54/2008, Sb. The resolution No. 84/2008 Sb. regulates storing, manufacturing and dispensing products in drugstores. It can be generally observed that medical cannabis and products made of it fall under the same regime as medicaments mentioned on special lists that are dispensed only upon a prescription. Státní úřad pro kontrolu léčiv (State Institute for Drug Control) observes keeping the aforementioned procedures and processes. This agency is also authorized to add more diagnoses or other varieties of medical cannabis to the current list. Decree No. 455/2009 Sb. that regulates which plants or mushrooms are deemed narcotic or psychotropic, for Penal Code, and what quantity is greater than small. Následující text je stručným přehledem právní úpravy užití marihuany na území ČR nebo i mimo něj občany ČR. Jde o popis současné právní úpravy užívání marihuany – jak dovolené, tak zakázané. Vysvětlíme mechanismus zákazu užívání a jeho přesné limity. Hlavní částí textu je pak možnost dovoleného užívání marihuany s důrazem na užití léčebné. Vysvětlíme zásady, na jejichž základě jsou postaveny pravidla regulující tuto oblast lidské činnosti. V našem textu nenaleznete hluboké filozofické úvahy ani informace o přesném vlivu užívání na živé organismy. Jedním ze základních práv garantovaným právním pořádkem ČR každé osobě nacházející se pod jurisdikcí ČR je svobodné vlastnictví. Osoba tak může do svého vlastnictví libovolně nabývat věci. S těmito věcmi může svobodně disponovat. Stát si vyhradil možnost toto právo omezit jen ve výjimečných případech definovaných zákonem. Jedním z takových omezení je požadavek na výkon vlastnického práva neohrožující obecné zákonem chráněné zájmy. Pro porozumění právní úpravy dovoleného užívání marihuany je důležité ustanovení omezující možnost státu vyhradit vlastnictví k některým věcem pouze určitým osobám. Stát tak může činit z důvodu veřejného zájmu. Tato dvě pravidla umožňující státu zasahovat do vlastnictví osob jsou základem právní úpravy regulace. Je otázkou politického boje, stupněm vědeckého poznání a celkového stavu společnosti, která věc bude označena jako nebezpečná pro zákonem chráněný obecný zájem. Takovým obecným zájmem je především lidské zdraví, veřejný pořádek, veřejné blaho, mír atd. Marihuana je dle právního řádu ČR věcí movitou. Právní řád ji zná pod českým botanickým názvem konopí. Česká republika řadí marihuanu mezi tzv. návykové a omamné látky. Činí tak ne jen ze zájmů vlastních, ale i na základě mezinárodněprávních požadavků. Česká republika se pak zavázala mezinárodními smlouvami k boji proti obchodu a šíření věcí, které jsou zařazeny na seznam návykových či omamných látek. Regulace vlastnictví konopí je pak podrobně upravena vnitrostátním právem. Základem je seznam návykových a psychotropních látek. Ten byl původně přílohou zákona o návykových látkách. Nyní jde o samostatný předpis obsažený v nařízení vlády. To dává vládě možnost se seznamem pracovat bez ohledu na Parlament. Vláda zařazuje na seznam látky, které jsou uznány za návykové či omamné jejími poradními orgány. Takovými jsou především ministerstva, specializované orgány úřadu vlády, Policie ČR, ale i nevládní organizace pohybující se na poli boje proti návykovým látkám. Za návykovou může být označena jakákoliv látka, jež navozuje uživateli potřebu opakovaného užívání, a to může mít negativní vliv na jeho zdraví. Na seznam jsou pak zapisovány i látky, které sice návyk nepřivodí, ale jsou nebezpečné silným psychotropním účinkem působící nezvratné změny na zdraví. Látky uvedené tímto nařízením vlády jsou tak vyňaty z obecného režimu vlastnictví a vztahují se na ně právní režimy speciální. Základem speciálního režimu je, že jejich vlastnictví je možné jen na základě státního povolení. Základní proces udělování povolení je obsažen v zákoně o návykových látkách. Pro každou skupinu látek pak platí zvláštní postupy obsažené v normách chemického, farmaceutického a zdravotního práva. Marihuana je na seznamu zakázaných látek obsažena v příslušných přílohách jako konopí, konopná tinktura, konopná pryskyřice, konopí pro léčebné účely a psychoaktivní látka THC. Systém takového zápisu umožňuje regulovat vlastnictví jakékoliv rostliny patřící pod název konopí a pak jakýchkoliv výrobků, které rostlinu či její části obsahují. Vzhledem k tomu, že se marihuana – konopí – nachází na seznamu zakázaných návykových látek, je její držení či dispozice s ní bez státního povolení zakázána. Tento zákaz platí na celém území ČR pro všechny osoby a za hranicemi ČR pro občany ČR. Porušení zákazu se trestá dle míry společenské škodlivosti činu zákaz porušující. Právní pořádek ČR upravuje dva sankční mechanismy, které používá potrestání osob porušujících zákon. Zákon lze porušit činem různé míry škodlivosti. Ty méně škodlivé se označují jako přestupky a jejich potrestání je svěřeno do pravomoci orgánů místní samosprávy. Činy s vyšší mírou společenské škodlivosti se označují jako trestné a jejich projednání je svěřeno výhradně nezávislým soudům. Znaky zakázaného jednání přesně definuje Trestní zákoník. Pokud jednání nenaplní tyto znaky zcela, jde o přestupek. Právní řád převzal teorii rozdělující návykové látky na lehké a tvrdé drogy, dle potenciálu vyvolat závislost a dle míry možného poškození zdraví. Konopí je pak zařazeno na základě vědeckých poznatků mezi lehké drogy. Trestní zákoník se přímo neodvolává na seznam zakázaných látek, ale definuje návykovou látku jako tu, kterou se rozumí alkohol, omamné látky, psychotropní látky a ostatní látky způsobilé nepříznivě ovlivnit psychiku člověka nebo jeho ovládací nebo rozpoznávací schopnosti nebo sociální chování. Jde tedy o širší množinu látek než jen ty, co jsou obsaženy ve vládním nařízení. (1) Kdo neoprávněně pro vlastní potřebu přechovává v množství větším než malém omamnou látku konopí, pryskyřici z konopí nebo psychotropní látku obsahující jakýkoli tetrahydrokanabinol, izomer nebo jeho stereochemickou variantu (THC), bude potrestán odnětím svobody až na jeden rok, zákazem činnosti nebo propadnutím věci nebo jiné majetkové hodnoty. (2) Kdo neoprávněně pro vlastní potřebu přechovává jinou omamnou nebo psychotropní látku, než uvedenou v odstavci 1, nebo jed v množství větším než malém, bude potrestán odnětím svobody až na dvě léta, zákazem činnosti nebo propadnutím věci nebo jiné majetkové hodnoty. (3) Odnětím svobody na šest měsíců až pět let nebo peněžitým trestem bude pachatel potrestán, spáchá-li čin uvedený v odstavci 1 nebo 2 ve větším rozsahu. (4) Odnětím svobody na dvě léta až osm let bude pachatel potrestán, spáchá-li čin uvedený v odstavci 1 nebo 2 ve značném rozsahu. (1) Kdo neoprávněně pro vlastní potřebu pěstuje v množství větším než malém rostlinu konopí, bude potrestán odnětím svobody až na šest měsíců, peněžitým trestem nebo propadnutím věci nebo jiné majetkové hodnoty. (2) Kdo neoprávněně pro vlastní potřebu pěstuje v množství větším než malém houbu nebo jinou rostlinu než uvedenou v odstavci 1 obsahující omamnou nebo psychotropní látku, bude potrestán odnětím svobody až na jeden rok, peněžitým trestem nebo propadnutím věci nebo jiné majetkové hodnoty. Z výše uvedeného výčtu skutkových podstat trestných činů a jejich specifikace je patrné, že zákon nechává minimální prostor pro jednání spojené s konopím, které nepovažuje za trestný čin. Jde jen o dvě možná jednání, která nejsou společensky škodlivá v míře vyžadující si postup dle Trestního zákoníku, jde tak o přestupky. Prvním je přechovávání konopí či z něj vyrobené látky pro vlastní potřebu v množství menším než malém. Druhým jednáním je pěstování rostlin konopí pro svou potřebu v množství menším než malém. Základním pojmem je zde sousloví: množství větší než malé. Trestní zákoník tuto hranici nedefinuje s tím, že přesné vymezení obsahuje prováděcí nařízení vlády. V případě přechovávání konopí pro vlastní potřebu je množství větší než malé dle závazného stanoviska Nejvyššího soudu 10 a více g.
Pokud osoba pěstuje pět a méně rostlin konopí pro vlastní potřebu nebo přechovává deset a méně gramů pro vlastní potřebu je potrestána dle přestupkového zákona § 30 písmeno g a h. Může mu být uložena pokuta ve výši 25 000–50 000 Kč. Dále lze spolu s pokutou uložit zákaz pobytu popřípadě zabavení věci. Je podivné, že zákonodárce, popřípadě vláda, zvolili stejné kritérium rozdělující dvě odlišná jednání pro určení, zda půjde o trestný čin nebo pouze o přestupek. I v případě přechovávání pro vlastní potřebu tak i v případě pěstování pro vlastní potřebu se jedná o množství větší než malé. Pokud se rozhodnu pěstovat a vypěstuji pět rostlin, tak je usuším a získám cca 250 g. Pokud získávám konopí z jiných zdrojů, tak mám v kapse na nejvýše pár gramů. Není zatím známo, jak postupuje Policie u uživatele, který pěstoval pro vlastní potřebu a má sklizenou a uloženou celou sklizeň. Další skupinou trestných činů a přestupků je jednání zcela dovolené, ale stane se trestným činem či přestupkem jen proto, že krev jednající osoby obsahovala aktivní látku – THC. Jedná se o situace, kdy se po každém, kdo se v takové nachází, požaduje zvýšená koncentrace či opatrnost. Pokud má v krvi nadlimitní promile THC, jde o nedovolené chování. (1) Kdo vykonává ve stavu vylučujícím způsobilost, který si přivodil vlivem návykové látky, zaměstnání nebo jinou činnost, při kterých by mohl ohrozit život nebo zdraví lidí nebo způsobit značnou škodu na majetku, bude potrestán odnětím svobody až na jeden rok, peněžitým trestem nebo zákazem činnosti. c) byl-li za takový čin v posledních dvou letech odsouzen nebo z výkonu trestu odnětí svobody uloženého za takový čin propuštěn. Tato skutková podstata trestného činu nevyžaduje, aby pachatel nedovoleně návykovou, omamnou psychotropní látku – tedy v našem případě konopí – držel nebo s ní jakkoliv manipuloval. Významným znakem skutkové podstaty trestného činu ohrožení pod vlivem návykové látky je její přítomnost v krvi pachatele v době vyjmenovaných rizikových jednání. Trestní zákoník neupravuje postup zaručující získání validní a upotřebitelné informace. (1) Osobu, která je zjevně pod vlivem návykové látky, lze umístit do cely za podmínky, že lékař po provedeném vyšetření neshledá důvody pro její umístění na protialkoholní a proti toxikomanické záchytné stanici nebo v jiném zdravotnickém zařízení anebo po provedeném ošetření již nebude podle stanoviska lékaře důvod pro její umístění do protialkoholní a proti toxikomanické záchytné stanice nebo jiného zdravotnického zařízení. (4) Odběr krve musí být proveden, požádá-li o to osoba podezřelá z přestupku. Prakticky to funguje tak, že Policie ČR na základě oprávnění ke kontrole vyzve kontrolovanou osobu, aby se mimo jiné podrobila testu na obsah návykových látek v těle. Policie většinou použije test zjišťující přítomnost látek ve slinách, moči, či potu. Pro policii to je jednodušší. Problém je, že tyto testy neprokazují přítomnost aktivní látky v těle kontrolované osoby. Zjistí jen přítomnost látek, které vzniknou jako metabolity účinné látky. Tyto metabolity přežijí v těle i několik měsíců. Nemají však žádný vliv na psychickou aktivitu člověka. Proto by měl být vždy učiněn kontrolní krevní test v lékařském pracovišti, kde přesně zjistí obsah aktivní látky v krvi a na základě tohoto údaje stanoví možnou indispozici řidiče a tak míru jeho zavinění. Pokud se však kontrolovaná osoba odmítne testu krve podrobit, spáchá přestupek a je jí uložena pokuta ve výši 50 000 Kč. I zde je pak stejně jako u alkoholu stanovena hranice v promilích, která rozděluje jednání na přestupek a trestný čin. Jak jsem již zmínil v části věnované seznamu zakázaných látek a Zákonu o návykových látkách, je možné získat potřebné povolení, licenci opravňující k držení, nakládání a jejich přeměně v další výrobky. Tato oprávnění lze získat v rámci správního řízení, které vedou příslušné státní orgány. Většinou jsou i předem definovanými orgány s určením jejich pravomocí ke kontrole koncesovaných subjektů. Subjekty musí v prvním místě prokázat smysl nakládání s takovou látkou. Musí být obdařeni zaměstnanci s vhodnou kvalifikací. Dále musí být znám podnikatelský záměr, který nesmí být v rozporu se zákonem a dobrými mravy. Proces získávání koncesí, licencí či jiných výjimek opravňující k nakládání s látkami ve speciálním režimu podléhá kontrole specializovaným orgánů, postupujících na základě zákona. Využití konopí v textilním stavebním průmyslu vytvořilo tlak na jeho produkci. Vzhledem k tomu, že konečným cílem není získání psychotropní látky, je možné pěstovat tzv. technické konopí, které se vyznačuje obsahem THC nižším jak 0,3 % z celkové hmotnosti rostliny. Jde o tak nízkou koncentraci, že zájemci užívající konopí s cílem využití jeho psychotropních látek o něj nejeví sebemenší zájem. Pěstitel, který se rozhodne produkovat technické konopí, musí svůj záměr ohlásit příslušnému úřadu a pak jeho úroda podléhá kontrole. Samičí květy nesmí obsahovat výše zmíněný limit THC. Po vzoru jiných zemí a na základě vědeckých poznatků byla i v ČR přijata legislativa umožňující využít psychotropních látek, které konopí obsahuje k léčebným účelům. Konopí se tak stává lékem zcela rovnocenným s ostatními farmaceutickými produkty. Proto je nutné zajistit podmínky správné pěstitelské praxe a správné výrobní praxe. Mezinárodní autority správnou pěstitelskou praxí určují postup a podmínky pro pěstování a kultivaci specifických rostlin. V případě konopí pro léčebné použití se jedná nejen o ochranu rostlin, ale i o specifické požadavky na hygienu a zajištění standardizované kvality a definovaný obsah účinných látek. Výroba léčiv se musí řídit požadavky zákona o léčivech a vyhláškou o výrobě a distribuci léčiv., která blíže specifikuje požadavky na výrobní prostory, požadované kontroly kvality, personální obsazení atd.